You are here: Home / All Recipes / Non-Paleo Recipe Collection / Nut Butters / A WHOLE LOT OF LOVE! Raw Cashew Butter Love! A WHOLE LOT OF LOVE! 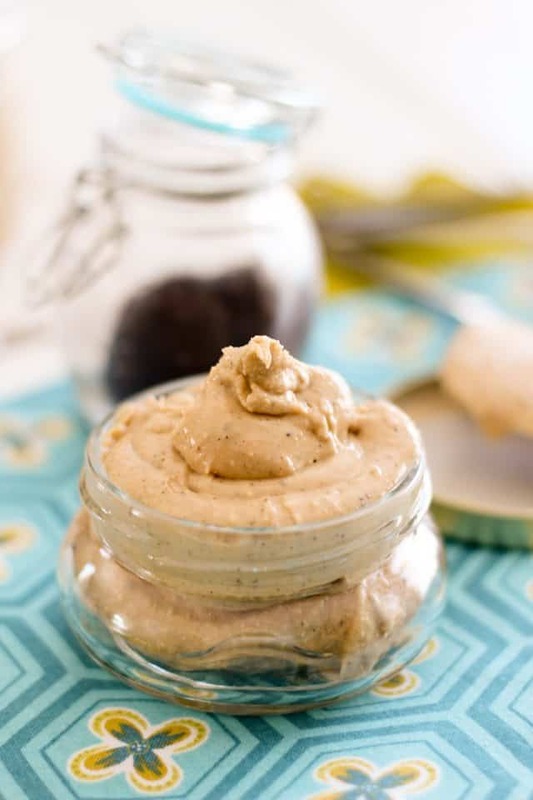 Raw Cashew Butter Love! Technically, today marks the final day of my Whole30! I don’t know exactly where this will take me and I don’t really want to think long term for now, all I know is, for the time being, I am feeling absolutely fantastic and I am LOVIN’ IT so much, I just don’t want it to end! You know what else I’m really lovin’ lately? All the amazing colors that are all over the place in every store I go! Spring clothes collections are coming out and have super pretty colors like light coral pinks, purples and turquoise… all colors I adore! And what of kitchen accessories! OH.MY.LORD! Just you look at THAT!!! 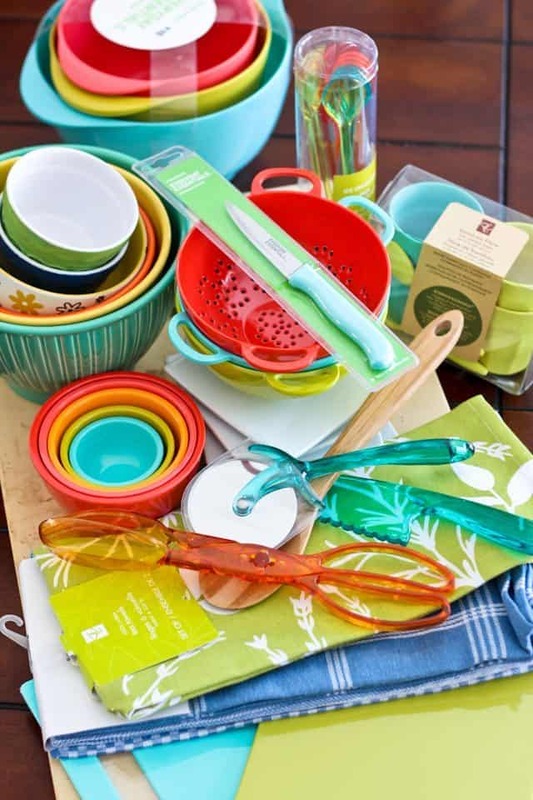 I don’t know how or when it happened, but it seems all of a sudden kitchen gear comes in all sorts of super vibrant colors and is like all over the place these days. Get a load of these… I got all that over the course of… err… one day!? Colorful enough for you? Oh, I feel TONS of pretty, color filled pictures are coming this way! Another thing that I am really, but I mean really lovin’ lately is raw cashews. For some reason, I’d never been compelled to trying them until now. I think I was rather put off by their very pale, boring, and odd looking color. Their whiteness makes them look rather bland and tasteless. I thought for sure they would be lacking a little bit of that “taste bud excitement capability” factor. Raw cashews are incredibly creamy and sweet! In fact, I find they’re even better than the roasted variety. I wonder why they started roasting them in the first place! I first tested with a very small batch and was so incredibly happy with the result, I immediately decided I HAD to share with you. Guys, you HAVE to try this. This, is not nut butter. This is icing in a jar. I swear. It’s that smooth and thick and creamy and SWEET! I wouldn’t even hesitate one second to use this as is, in its natural form, to frost cute little cupcakes. One word of warning though. You do need a good, powerful food processor. And a whole lot of patience. Oh, and a whole lot of faith. In me. But I’m going to show you, step by step, what you can expect, so you know I’m not lying to you. Although it will take some time and you might think that there’s no way your nuts are EVER going to turn into butter, trust me, the miracle will happen. First, you need a whole bunch of raw cashews. I used 500g (that’s a little more than a pound). Of course, you could also start with cashew pieces, if you can find them. They should save you a couple of bucks, which is always a good thing! But flour is not what we’re after here, is it? Nooooo… we want dreamy creaminess! Goodness that knows no boundaries! So let’s keep them blades spinning, shall we? After oh, say 4-5 minutes, you should be at this stage. What you are looking at is a thick paste and it just wants to climb to the sides of the bowl all the time. Your blade is spinning in vain, or so it seems. At this point, it’s a game of stop and go. Scrape the sides, go, stop, scrapes the sides, go, stop, scrape the sides, go, stop… you get the idea, don’t you? Eventually, like a few minutes later, the paste gets really, really thick. You’re thinking this is NEVER going to work. You might start to curse me a little. By all means, DON’T. Resist the urge! And whatever happens, don’t EVER, EVER add water. Water and oil do not mix, always remember that! Few minutes later… things get even WORSE! That paste gets thicker, dryer, grainier still! Now you’re thinking OMG, this was all a huge mistake. That darn Healthy Foodie just had me ruin a whole batch of perfectly good nuts. And if I don’t give my food processor a break, I will have ruined a food processor too. Right. You’ve probably been at this for close to 10 minutes now. It would be a good idea to give your food processor a 2-3 minute break, just to be on the safe side! After your food processor is well rested, put it to work again. Within a few minutes, you should be getting your first glimmer of hope! Finally, this is starting to sort of want to look like it’s going to turn into nut butter. See that little hint of creaminess? Oh it’s getting there. Another few minutes in, you get this kind of a doughy ball of cashews that’s just whirling around in the bowl. And very VERY warm too… I’d even say pretty darn hot! Almost as if you’d been cooking your nuts. Really. That hot! We finally have butter, but it’s fairly crumbly and somewhat dry at this point, but still, it’s NUT BUTTER! I would say a good 8 to 10 minutes after you get to the butter stage. Be patient, have faith… and eventually, you will get to this point. And from this point on, what you will be needing is a whole lot of SELF CONTROL! 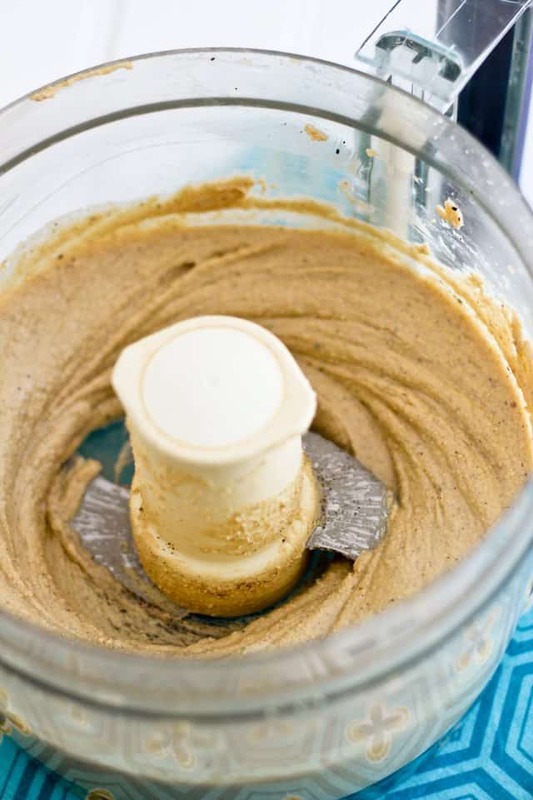 Warm, fresh out of the food processor raw cashew butter is VERY hard to resist. See, beautiful and creamy and THICK, oh so thick! This is pure heaven, I tell you. It finally did happen and no liquid was ever added. Aren’t you glad you trusted me? Time to transfer your heavenly treasure to pretty little jars and put it away in the cupboard as far back as you possibly can. Serves: Yields just a little under 2 cups. Add all ingredients to the bowl of your food processor and process for a very long time, until nice and smooth. At some point, you will have to scrape the sides fairly often, and your nuts will turn into a very thick and crumbly paste before eventually starting to release their oils and turn into nut butter. Be patient and resist the urge to add any form of liquid. Just keep going, it will eventually happen. 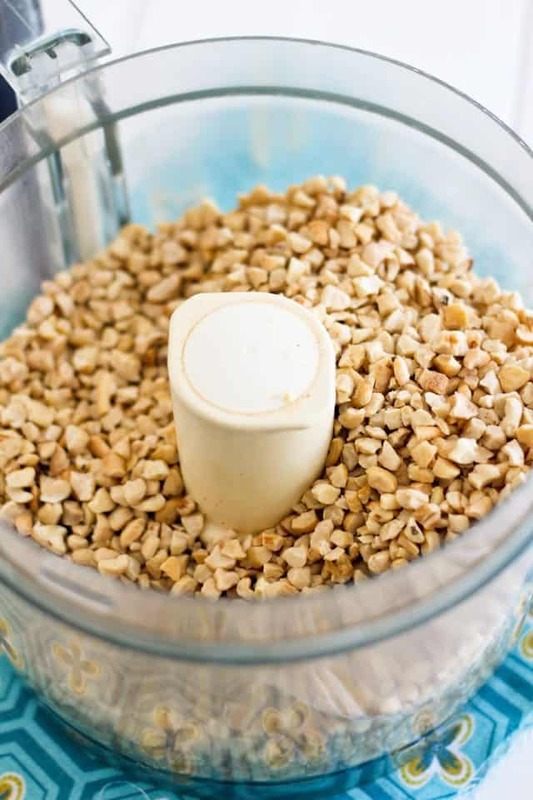 From beginning to end, this might take a good 25 minutes of active processing, so it is a good idea to give your food processor a few minutes break from time to time. To make the vanilla powder, what I do is I keep all my scraped vanilla beans and leave them to out to dry. When I have about a dozen or so, I grind them in my coffee grinder along with 2 or 3 whole vanilla beans and turn that into a vanilla powder. One recipe I saw called for coconut oil. I decided to use some chocolate olive oil that I thought would add an interesting flavor. I had to stick the second jar in the freezer to keep myself from eating it. 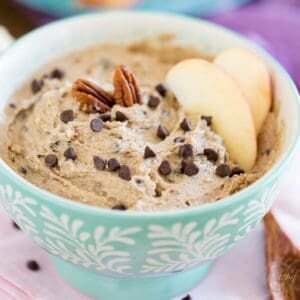 I’m planning on making something pretty decadent soon with raw cashew butter and macadamia nuts! Great minds think alike, or so it seems! Just as an FYI. It’s the heat that gets the oil to come out in the nuts. If you start out with them fairly hot, you can spend less time at the blending. Or, as the other lady said, add just a little of some bland oil. You can do the same with any nuts, and with sesame seeds for tahini. Also, you can freeze all of these lovely things, whole or blended, and it will keep your perishable good for about a year, so you can buy the bulk. I found a great short cut because I always have raw cashew pieces in my freezer. I processed the frozen nuts until they were small grains like maybe couscous. Then I waited a while for them to melt (about 40 minutes) and then processed the rest of the way and it was FAST and easy. I found after toasting hazlenuts for about 10 mins it was much easier to make the butter. Add a couple of pieces of melted dark chocolate and a shot of vanilla syrup. Yum! Although I do ADORE toasted hazelnut butter! About 15ish years ago when I was a kid there was this awesome food processor (it actually had multifunctions) that could accomplish what you seek without added oil. But that was then, and this is now, and planned obsolescence has invaded all companies. The processor was called VitaMix and could be found at Costco. However, if you cannot afford this level of food processor, I suggest adding grape seed oil, if you don’t mind the flavor (personally, I cannot taste it and prefer it to what I can, such as olive oil). Remember, we all taste differently, in the sense that some people can really taste bitter while others can barely taste it at all. Thanks for the recipe. I love the natural flavor of cashew butter! I have a Ninja it costs under $200 and it turned the cashews into creamy butter in under 10 minutes. No heating needed, no oil needed. I added a little cinnamon, delicious! I also have a ninja and I can make all sorts of nut butters. It only takes about 5 to 7 minutes. I had previously read recipe after recipe that said it would take FOREVER and I couldn’t understand what I was doing differently. Obviously I’m super lucky to have the ninja 😉 Its all making sense now! Ha! Just soak the raw cashews for a couple hours or overnight. Drain before you whirl. Saves a ton of time. Add a couple Tbs of lemon juice for vegan sour cream. Yum. Thanks for the soaking first tip. I’m developing a recipe that originally called for vegan butter or coconut oil. Sonia, what do you think of making the cashew butter with coconut oil to achieve the mixed butter I need for the recipe? It’s hard for me to say, Diana. I’d have to see the recipe in question first, I guess. But you say your original recipe called for vegan butter OR coconut oil, so why not use just plain coconut oil? To stop the coconut oil from oozing out of the cookies, try to substitute some coconut butter with the coconut oil 50/50 and the butter will hold the oil firm. Iv’e done this with some “Rawsome Lovebites” that I make and take to work. Hey Sonia! Thanks so much! Not trying to “out do” anyone here (I read most comments) I don’t have a processor, so I used my 10 speed blender. Warmed the cashews (ever so slightly) dumped them in quickly after warming (releasing the oils quicker) and within 5 minutes or so (pushing crumbs down accordingly) I had my (oil free) cashew butter! Creamy as ever! Processors are larger in nature, and believe that the smaller the better as there’s more efficient grinding going on, leading towards a quicker result. Thanks so much, for guidance. Hope this helps those without a processor. P.S. Yes, let blender cool off a little, don’t want to burn out the motor…….buh bye! Raw cashews make an excellent addition to spinach/chocolate smoothies. How do you think this would go in a Vitamix? I just made this with a Vitamix. It took about 45 minutes to get it as close to a creamy texture as possible. I’m pretty beat now! I know this is late, but I use my vitamix to make nut butter, and it takes less than 2 minutes. You have to use the tamper. I usually use 6 cups raw cashews at a time. Oh. My. Gosh – those bowls!!! I HAVE to get to Superstore/Loblaws asap!!! 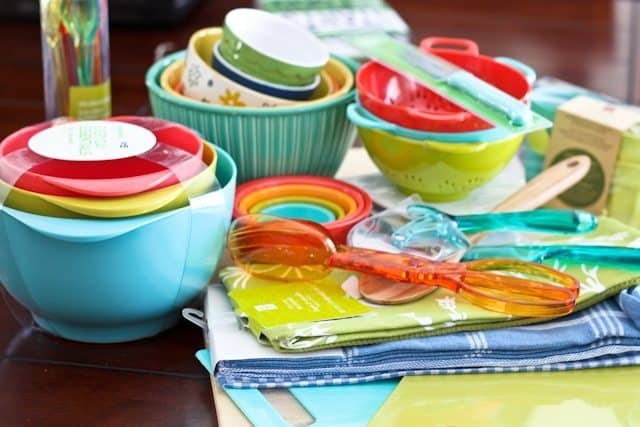 I am such a sucker for any sort of kitchenware but ESPECIALLY when it comes in bright colours. And I’m not even a huge nut butter person, but you’ve made me want to try this. I have a food processor but am pretty sure I could do the same thing in the Vitamix and not have to worry about any overheating of the motor (my food processor has been good to me and I don’t want to run the risk!) Congrats on your challenge!! I think if what you’re currently doing makes you feel great, then why stop!? 🙂 Have a great day Sonia! Of course, you could make your own in your Vitamix, Jen. I would SO Love to give that a try myself. Considering buying one JUST to make nut butters! Haha! Give it plenty of rest Aida and it should be alright. I find making nut butter at home so rewarding. 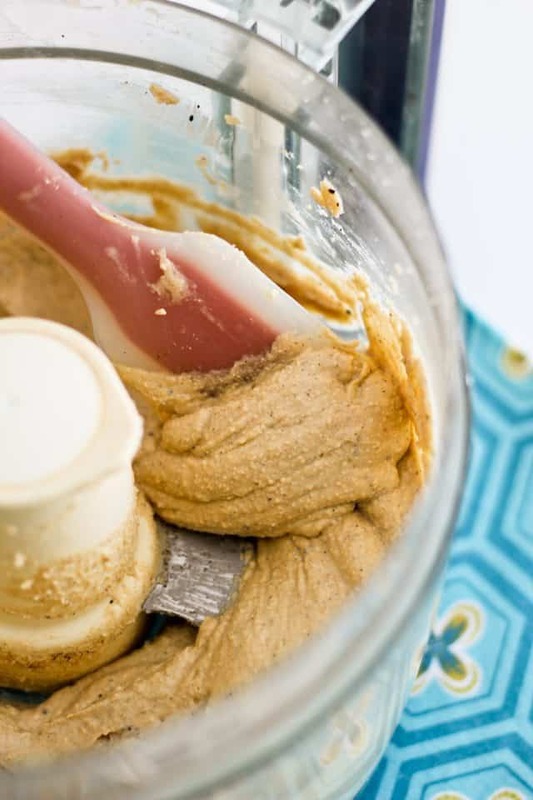 You get all natural delicious butters for a fraction of the price that you would pay for the ready made stuff, you get to make your own flavor combinations, and most of all, you get to lick that delicious warm nut butter off the spatula and clean the bowl of the food processor real good, too! I feel just like a kid sometimes when I make a fresh batch. Hope your next try will be a total success! Looks delicious!!!! Trying this tomorrow!!! Are your cashews roasted?!?!?! 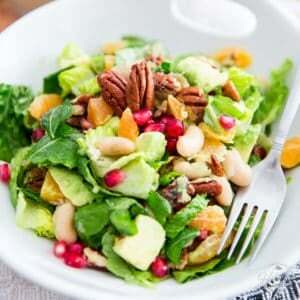 One advantage of using roasted is that it will reduce the phytic acid in the nuts. Since you are or were on a Whole30 I assume you know about phytic acids. Raw nuts can have as much digestion-disrupting phytic acid as wheat! Interesting information, Emma. I will keep that in mind! OMG!! 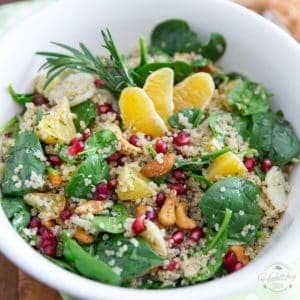 This looks delish, im new to eating real foods and already feel so much better! Everyday im finding new and interessting things ibhave to try and this is one of them!! My food procesor is pretty old, so i dont know how she will go, but im actually more than happy to risk it. I can always buy another one, right? Ill let you know how i go when i finish tomorrow! This would go perfect in my protien balls i make for my treats. Ive been using organic peanut butter (which i hate the taste of) and it leaves this peanutty taste. The taste of cashews is amazing so they would just perfect my protien balls. Ide love to share the recipe with you so you can give them a try! HAHA! If you want to help your old food processor, Jessica, you can always add one or two tablespoons of melted coconut oil, but you won’t get the same thick and creamy consistency. Your butter will be a little bit thiner, but will taste just as delicious! I hope you like it better than you do peanut butter! It doesn’t even compare, if you ask me… plus, peanut butter isn’t even good for you, whereas this guy is, so there’s no doubt in my mind as to who the big winner is! I love this recipe and this blog is super fun to read. At one point, it made me laugh out loud. Keep it up. Omg this is heaven. I had cashew butter for the 1st time this past week and after I was on a mission. My friend and i call it crack butter.LOL Thank you for the details. I wanted to give up but after some time but finally the creamy heaven started to show. Raw nuts are the key. Tested the first batch with salted and a veg oil from another recipe and big mistake. Yours is the absolute best!!!! Give your processor a rest and love and it will deliver creamy heaven. Crack butter is right! It’s now become my favorite nut butter by far! Glad you were able to make your own at home successfully, too. And vegetable oil? YUCK! Must have ruined it for sure. If you ever want to speed up the process some, you could add a little bit of melted coconut oil (and I do mean a little bit, as in one or two tablespoons) but the resulting butter won’t be as thick and creamy. I much prefer it without! Ladies! You need a Vitamix! High powered blender with make this recipe in 1-2 minutes with NO problem, no resting, and you don’t need to worry about overheading any kitchen appliances! Yeah, well… unfortunately, we don’t all have that kind of money to spend on a kitchen appliance, however neat it may be! I stumbled upon your blog when searching for cashew butter recipes. I was adding canola oil to my recipe, and was concerned about the added fat. I followed your directions and it worked beautifully! I am grateful. I have tried to make roasted pumpkin seed butter, but added oil to that. I had roasted the seeds beforehand. Is the added oil unnecessary? I wonder if I did not give it enough time. Thank you for your post. Love this! Adding a little bit of almond extract takes it to a whole other level! I’m in the market for a good food processor that I can make raw nut butters with. Any suggestions? I’ve had my good ole KitchenAid for well over 10 years now and it’s still going strong! I wouldn’t hesitate to recommend them! Ah, but you were right there indeed, Adam. When the oils start coming out, that’s when the magic starts to happen! Throw it back in, it’s not too late! And if really it’s taking too long for your taste (or for your food processor’s sake) throw in a tablespoon or so of coconut oil. 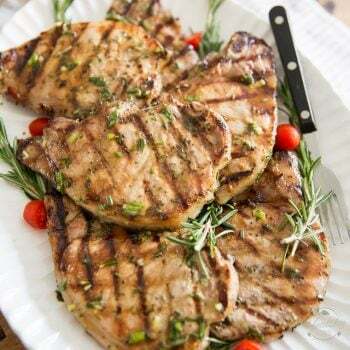 It’ll speed things up for you without affecting the flavor or nutritional value! That is awesome, Erin. So happy to hear that this post was useful to you and that your cashew butter turned out great. Dreamy deliciousness in a jar, wouldn’t you say? I made this using raw cashew pieces and a pinch of sale. I have to say, this is the BEST cashew butter I’ve ever eaten! The whole process took about 30 min. using my Black and Decker food processer. I bought the cashews for $2.77 a pound at my local grocery store. Thank you for posting your recipe with pictures! I’ve got a lot of cashews in my freezer, for future butter, WAY cheeper than commercial, and so much cheaper. Hi! Thanks for the recipe. I do love cashew nuts but they are quite expensive, any idea where I can a good deal on the cashews? I have a good local source for buying them in bulk, but I doubt that they would be close enough for you to pay them a little visit. Try nuts.com, maybe? I’ve heard great things about them! I meant to say so much cheaper and better tasting than commercial. Sorry about the typos. Uh oh! You’re right. You ARE in trouble… when you start making your own, you’ll never be able to stop. And just wait until you get to taste it warm, fresh out of the food processor. I was looking for a raw cashew butter recipe for my adapted version of Detoxinista’s raw cheesecake, and fell upon this site. I have to say I am some happy that I did. 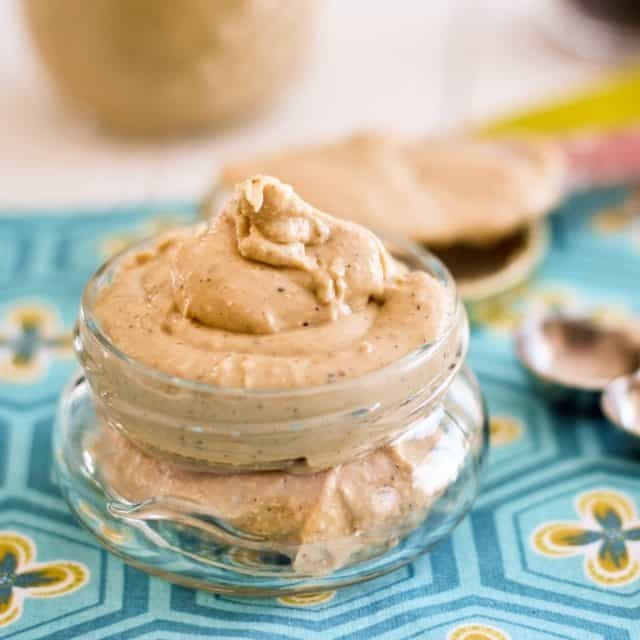 This raw cashew butter recipe is simple and way better than any store bought cashew butter you’ll find. I’ve made this recipe twice now for my raw cheesecake, and had no problem making this in my Braun 600W food processor. Thank you Sonia for sharing this recipe. Thank YOU so much for this awesome feedback! Glad you fell in love with this cashew butter too! I was wondering about soaking/sprouting the nuts to lessen to reduce the phytic acid content. Or do you think this would make the butter too runny? I don’t know, jb. To be honest, I’d been wondering about that too. I don’t think it would make it runny at all, quite the contrary in fact… but for sure, it would make the nut butter highly perishable and would only keep for a very short while it the fridge. Perhaps the best way to go about it would be to soak the nuts and then dehydrate them again. I might very well give the 2 options a try! Think I found the answer. 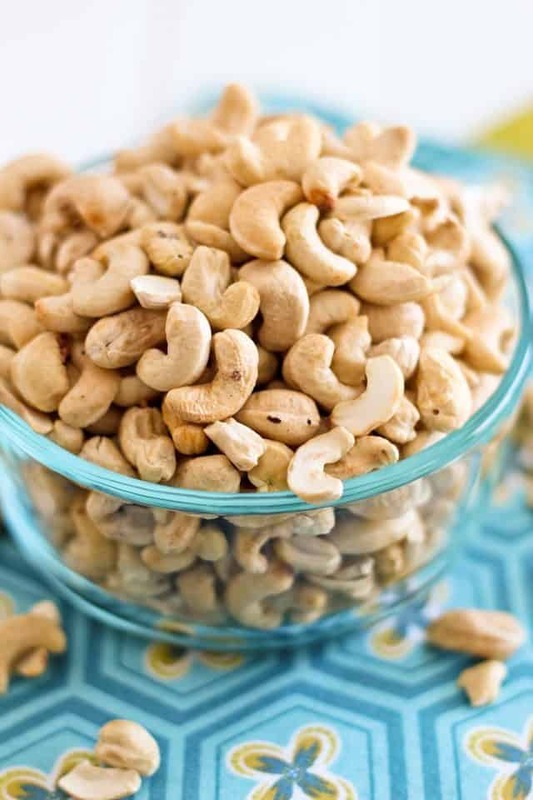 Soak cashews for 2 to 3 hours in spring or RO water then air dry or dehydrate on low temperature. Drying should solve any shelf life problems. Worked like a charm! I soaked cashews for 2 hour in spring water then dryed in a large toaster oven on “Keep Warm”. Took hours to dry on low temp. Then used my Vitamixer to make the butter. DELISH!! I did notice the cashews had sprouted. Small tap root, protruding from top of cashew. I thought if the cashew (or nut) had been heated (vs raw) they would not sprout. From reading, I gleaned cashews are heated during processing, so they truly are not raw. Do you have an explanation for the sprouting? AWESOME! Now I can’t wait to try it. As for the sprouting, I have absolutely no idea. But you got me real curious! They sprout so fast, really? I really have to research the subject. I am definitely intrigued! Yep! They definitely sprouted. On the larger end with the cleavage, the tap root emerged. I, too, was surprised how quickly it happened. I didn’t think they would sprout because of heat processing. Maybe there is another process being used to remove the outer covering & caustic liquid surrounding the meat. Trying to make mine right now using a bamix. Getting there slowly but surely. Sneaked a tast and its divine. how long will this last refrigerated? :3 thank you in advance! Thank you so much for this post and all the photos! I made this tonight, and it came out PERFECTLY. Can’t believe it turned out so creamy when raw cashews were the ONLY ingredient! Had I not seen your step-by-step photos, I’m sure I would have given up! I use cashew butter to make my favorite Paleo bread, but it costs $16-$18 a jar online… Now I can make it for about $8 a jar! Thanks again! Thank you! The pictures were very helpful. I combined my cashew butter with some cilantro lemon chutney and it came out amazing! So excited to make my own nut butters now. I just made this and it is wonderful 🙂 I used cocoa powder and table salt because that’s all I had on hand. I let my 15 year old food processor rest for 20 minutes or so between every 2 minutes of running. It took a while but I was taking the ornaments off the tree so I just kind of went from one room to the other. Made the kids a pb&j, or cb&j rather, and they loved it. Thanks for posting the pix, they were helpful. Your encouragement to keep going even when it seemed like it would never turn creamy, was also very helpful. Taking the ornaments off the tree already? That soon? Call me crazy, but I usually keep my tree until the 2nd or even 3rd week of January. I’m such a kid when it comes to that. I can’t seem to get tired of looking at all its beautiful glittering ornaments and shiny colorful lights. Ah, the magic of Christmas almost resides in my tree, for me. But hey, I can’t think of a better way to ease the pain of taking the tree down than making nut butter at the same time! I think I’ll do just that when comes the time to send my precious tree back to storage for another year. I will certainly try to make it. By the way,is tahini spread made the same way? Pretty much, yes, although I like to strain mine after to make it really smooth and creamy. omg this actually worked for me! Thank you so much! Sooo creamy & tasty!! Could you use vanilla extract instead of vanilla powder? Absolutely Laurie, just make sure you add it at the very end when your butter is all good and creamy, and make sure your extract doesn’t contain any water. Would a NutriBullet be sufficient enough for this process? Also, is adding something like honey doable? Or is it not even necessary? I don’t think so Anthony. You need something that has a little bit more power than that to make nut butter. And while you could add honey if you wanted to, I find it totally unnecessary. 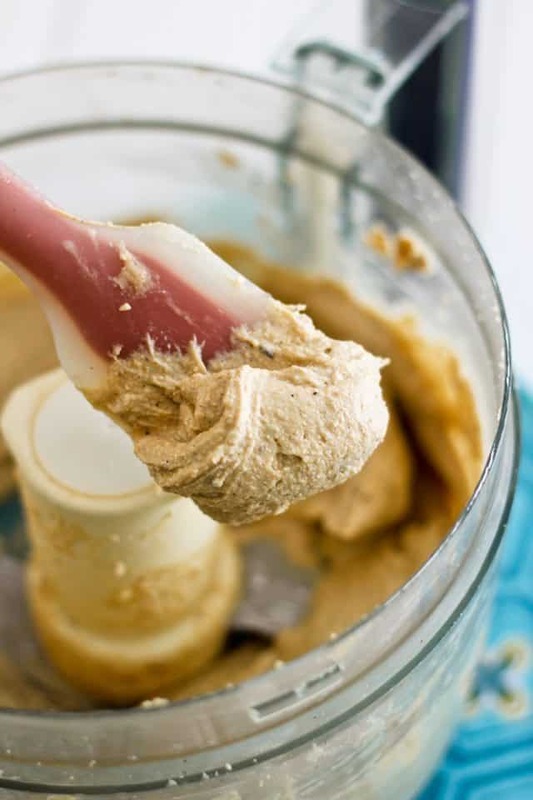 Raw cashew butter already has some kind of a sweet taste to it. Arrgh! I made some last week with roasted cashew butter and it worked fine, but now am trying raw cashews and it won’t turn. After about 45 min of mixing in my Ninja blender, I added a couple of tablespoons of avocado oil out of desperation. That didn’t work either. I took out the fine grounds and spread them on a cookie sheet and put them in the over for about 10 min. It got kind of golden and quite warm. Thought for sure this would do the trick, but it has been over an hour and no butter! Any ideas? Seriously Karen, I am at a loss. I really don’t know what to say. If even after adding the oil, the nuts wouldn’t turn to butter, then the only thing I could think of is they have been soaked and not dried afterwards. But nuts aren’t typically sold like that, as they would rot in no time… I wish I could help you more, but unfortunately, I am totally clueless. I’ll try researching that when I have a minute. You can die from eating raw cashews as they are highly toxic. Even just touching them, can lead to death. Please, check further on the ‘net if you do not think this is correct. You should have written ‘unroasted’ cashews as they are cooked prior to roasting them. I gave this a shot and it worked! After reading through the comments, I decided to try my first batch with some shortcuts: first, by microwaving the cashews for 60 seconds, and second, by adding some canola oil into the mix (maybe 3 or 4 tablespoon’s worth). It cut the processing time down to about 10 minutes. 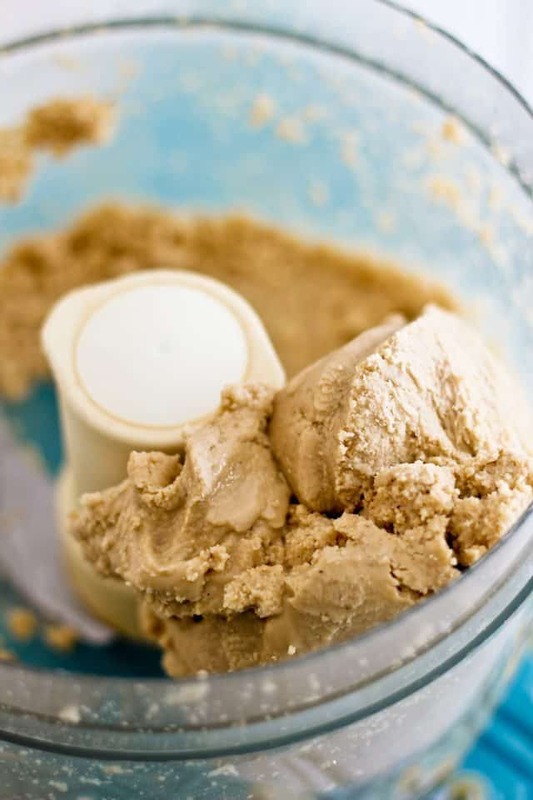 I also found this makes a great “raw” cookie dough – just mix in some honey (about 2 parts cashew butter, a little more on the doughy side makes it easier to work with – and 1 part honey, with blend with a spatula until it has the consistency & taste you want), then mix in some chocolate chips. Tastes just like Tollhouse cookie dough, minus the sugar, eggs, and wheat! Nice little snack! Thanks for posting such a detailed tutorial! Thank you for such great feedback, Dave! I know that the addition of oil cuts down the processing time quite a lot, but I find it also affects the final consistency of the product, making it too soft for my liking, so that’s why I stick to making nut butters without adding any kind of oil whatsoever. Just a quick follow-up: my local stores were out of raw cashews & I didn’t feel like waiting on Amazon, so I bought some roasted & salted cashews. Definitely not nearly as good as raw cashews in my book! For some reason, raw cashews simply turn out the best for this procedure. I can’t believe how creamy it gets, either…thanks again for posting step-by-step photos & lots of notes about being patient long enough for the oils to get pressed out & turn creamy. This stuff is fabulous, I’m totally addicted! It’s really cool seeing them go into a paste like that! Absolutely stunning photos, and I know what you mean about kitchen accessories, there’s nothing better than shiny new tools! I finally tested this recipe out and I’m so glad I did! I bought raw cashew flour at Trader Joe’s a while back and had NO clue what to do with it and someone suggested using it as a shortcut (and a cheaper method, for only $4 a 2-lb bag!) to making cashew butter and it worked like a charm!! I didn’t have any vanilla bean pods but I’d like to try that out next time- but the sea salt was a perfect addition! Thanks for the recipe! Cashew flour? Really? I would’ve never thought about this… and for sure, I would’ve thought flour to be more expensive than the pieces. I’ll keep an eye out for it, that’s for sure. Thanks for the tip! Just made this today. I heated the cashews first and added coconut oil after the stage where it clumps together and rolls around. I didn’t have vanilla powder so I used vanilla extract and there wasn’t a change in colour at all. It is absolutely amazing! 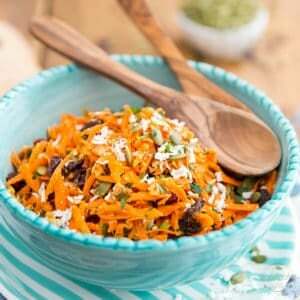 I love the flavours and yes, it’s very hard not to put a spoon in and just eat it all up at once! Thanks for sharing your recipe! Unfortunately, Bryony, if you are going to make nut butter out of soaked nuts, you have to make sure that they are very well dehydrated again before you start the process. Oil and water do not mix, so this will never become smooth and creamy. The only option I can think of at this point if you want to save it would be to spread your cashew mixture onto a cookie sheet and dry it off for a few hours in a very low temperature oven (lowest setting you can get it to) to try and get all that water to evaporate, and then resume the creaming process. Ok take 2 tonight and its perfect! It tastes so amazing! For those of u thinking it will save time if u soak ur cashews think again! Not only do u hav to wait for them to soak then u hav to dry them out completely for it to to actually only make the very start a lil quicker. 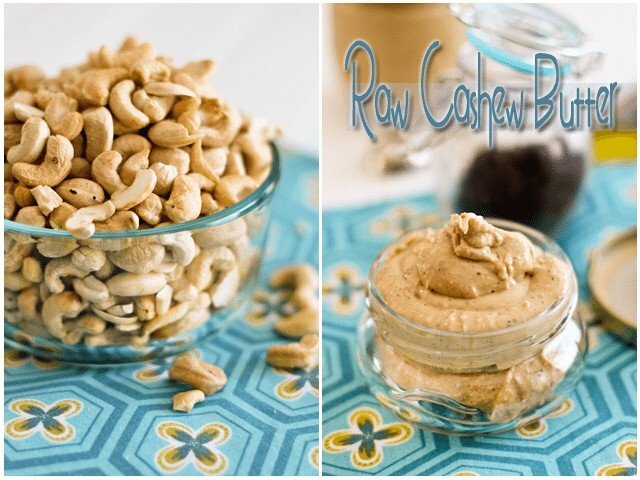 Raw cashews as stated in the recipe is perfect! This took me about 28 mins in total! Love love love thank you! 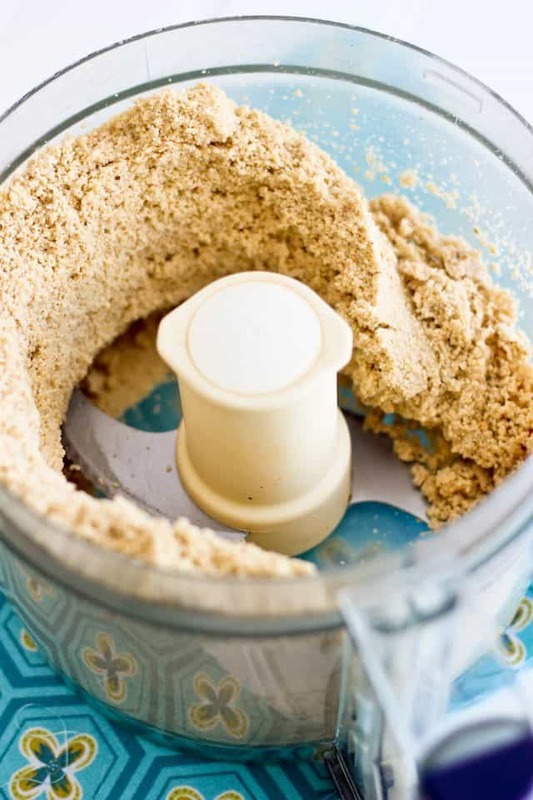 Thank you so much for this recipe for cashew butter. I must say that your description of the process was as much of an enticement to give it a whirl as the gorgeous pictures! I wanted to add my little experience here, and perhaps it may help someone else out in the process… I do not own an electric food processor, however I did just purchase a Tupperware powerchef. I did the initial processing of the cashews in this, and after a mere 5 minutes or so, had a really nice, finely ground almost flour. I couldn’t stand the thought of continuing to pull that cord for another 25 minutes, so I took out my Kitchen Aid hand blender (aka, the boat motor!) and gave that a go — 5 minutes! That is ALL it took with that little beauty! Not a word of a lie! I love that tool, and the cashew butter is absolutely perfect! Hi, I’m a little confused…did you post two recipes or is it one? The reason I’m asking is because I recently started using raw cashew butter in recipes (really love it, especially for vegan mac N cheese) and made my own batch, but I only used raw cashews and a little salt and wanted to know how long I can keep it in the fridge!? Your top recipes says you only put the cashews and the one below adds the vanilla and salt! So, if it were cashews alone, how long does it keep. Thanks for your post. This is only one recipe, Anto. The post basically shows you pictures of the different stages. Plus, the addition of vanilla powder and salt wouldn’t change anything in the shelf life of the nut butter. I don’t usually keep my nut butters in the fridge, I prefer them at room temperature so I keep them in the pantry where they last for weeks (I do go through them rather rapidly!). I wouldn’t worry about keeping them for several months if they were refrigerated. thanks so much for replying ….sorry I got confused….I will have to try it with the vanilla and salt as well….much gratitude! Thank you! Your tutorial worked just as promised. Love your post. That recipe you shared is superb. Thanks for loving post. 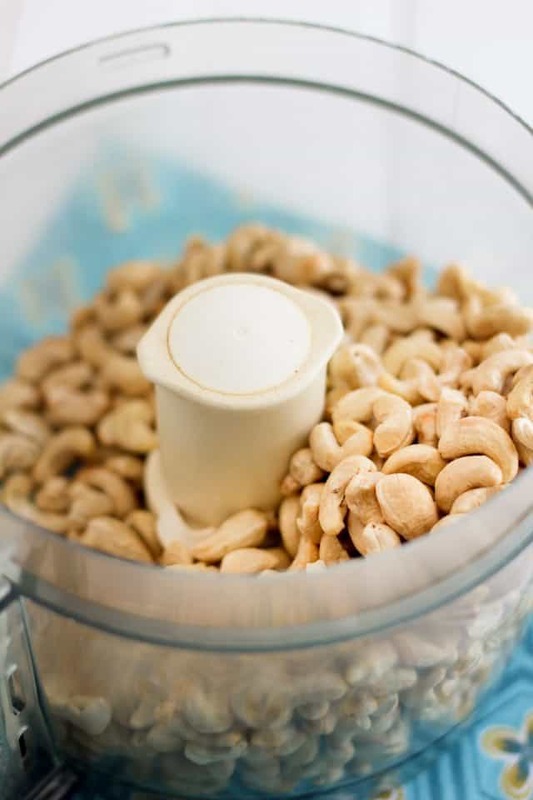 We prefer dry-roasted cashews to raw, and we make cashew butter in our Vitamix for a minute. It is divine! 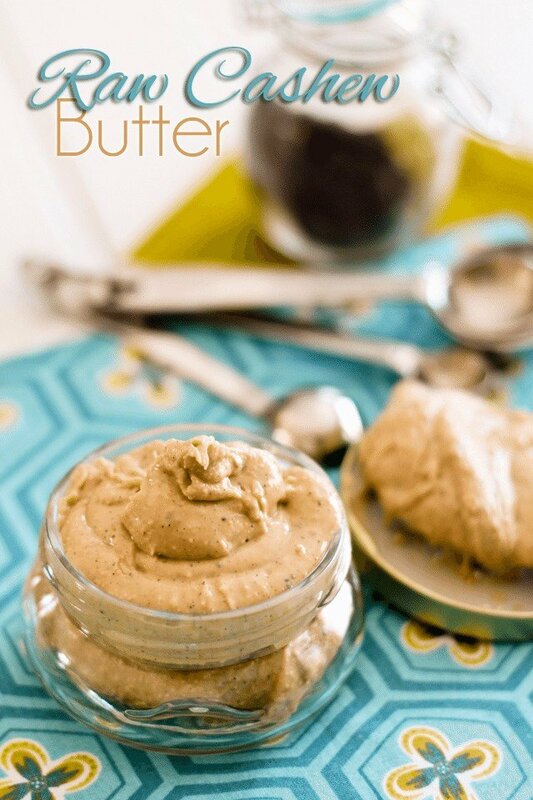 Funny, I just tried roasted cashew butter and posted the recipe today! I must admit that I really like it too. It’s crazy how differently the same nuts taste after they’ve been roasted. TOO FUNNY!!! I was in the state of panic you described and contemplating liquids when I pulled up your recipe/post. You are a lifesaver. I kept it going with my new Hamilton Beach “Big Mouth” processor and it all came together. The nuts heated up letting the high speed go for a bit and it turned into “melted” creamy goodness. So excited!! Thank you so much!! (I am thinking a bit of cinnamon may be quite a tasty option, too!). In my opinion, Raw Cashew Butter is absolutely scrumptious. I made your cashew nut butter on the weekend! Wow, totally amazing! I’m so thrilled I found your recipe! My kids love it! Am super stoaked to find a nut butter recipe that I can give to my family that contains NO preservatives!!! Thank you, thank you, thank you for posting! I kept the faith and I now have a cup’s worth of temptation sitting on my counter. With my little food processor from the thrift store, it took me an hour and my sense of hearing but totally worth it. The hardest part, for me, was fighting the urge to try “just a little” too often. This one’s a gem. THANK YOU SO MUCH! 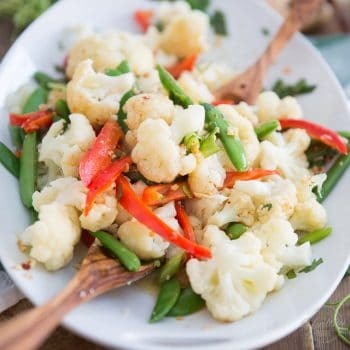 I have just recently started eating Paleo, so finding this was great! This does take a bit of scraping down the sides, but the end result is SO worth it, and you are right about how good it is when it’s just done and still very warm! Hard to not lick the bowl lol! Thanks so much for showing us this!! I look at many blogs and use suggestions and have never left a comment…but after making cashew butter from your recipe ( something I have been trying to make to no avail)….I finally made a batch which is better than anything I can buy..thank you so much! Ah! Real glad to hear that the pictorial has been helpful to you, Beth. Isn’t that finished cashew butter UH-MA-ZING? I made this in a Vitamix, but added some vegetable glycerin and used stevia vanilla drops. Took maybe 5-10 minutes! Very sweet, the glycerin helps it get creamy but is also a little sweet. I made this with my Cuisinart Food Processor and it took me about 25 minutes including rest times. Only had rest a couple of times. I love it! I think I like cashew butter better than almond butter! Thanks for the great tips. I am so glad my old food processor died( it was 30 years old) The new one handles nut butters with ease. I have used this recipe/tutorial heaps of times and also passed it on to others. It is so good to be able to make my own choice of nut butter since I cannot eat peanuts, and, no need for nasty oils. Many thanks . I just finished making this cashew butter (just now, as in, have barely finished scooping it into the jar) and I have to thank you for this photo tutorial. I got to the ball of dough and lost confidence. So I found the tute again and watched my food processor do the same magic. I use a 13 year old good quality food processor (with which I once fused the shaft to the body while making bliss balls) and it did just fine with frequent breaks. Now I really need to go and make delicious salted, gluten free, failsafe balls of baked heaven before I eat the lot with a spoon! This is AWESOME, thank you so much for this recipe! My butter looks exactly like yours, no oil added. I’m feeling tempted to empty the jar. *HIGH FIVE* And don’t I hear you… this stuff is SOOO hard to resist! Careful, Cheryl, that stuff is also highly addictive! 😉 Enjoy breakfast… what a great combo this’ll be! p.s. have you checked out my hummus recipe? I don’t do legumes anymore and don’t really miss them, but that hummus is something that I would gladly indulge in once in a while. It comes out so smooth and creamy, unbelievable! I bought a Kenwood 400W food processor. Something tells me this isn’t powerful enough to make cashew butter. I can’t run it long enough for the nuts to heat up–the machine heats up instead. 🙁 What is the wattage of your food processor? 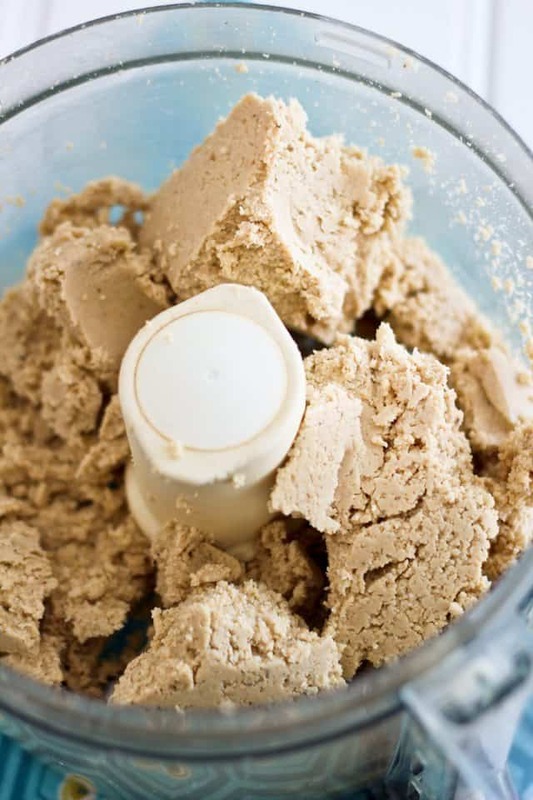 Well, I have successfully made raw cashew butter in one of those Ninja type mini food processor thingy, but of course, it was a very small quantity. Still, 400W is a bit of the weak side indeed, so I recommend adding a little bit of oil to your nuts just to help the process some. 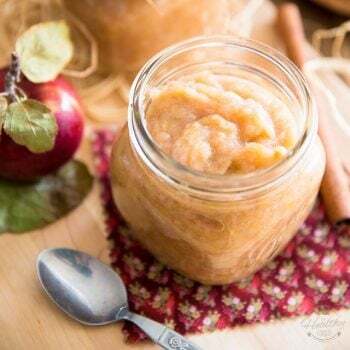 Melted ghee works fantastically well and will even improve the flavor some without affecting the final texture, as does coconut oil although this one will confer a bit of a coconut-y flavor to your nut butter. Not unpleasant, but different. One or two tablespoons per cup of nut should do the trick. Oh, and to answer your question, my food processor is 750W. Hope this helps. Keep me posted! Sonia, Thanks for the explanation/email and I must be blind bc, I missed your update on the 400watt processor. :/ I actually bought cashew butter at WF’s yesterday and whoa, $$$ so, I’m good for now but after it’s gone, I’ll try your recipe in my Cuisinart. This is one of the cutest food blogs. I own the DCL-pro 10cup Cuisinart but haven’t used it in years. It has a 600 watt motor so, it’ below what you used. Guess I better not use it to keep from burning out the motor. Darn, I buy the 16 oz bag of raw cashews from Whole Foods every week and this is such a good idea. Great food blog, I really enjoyed reading it. Thanks for sharing the recipe Sonia, I only had roasted cashews on hand so gave it a try with 200 grams, I don’t need to tell you how delicious it is. I separated the batch in two and added some maple syrup and a dash of vanilla extract to half (just in case it stuffed up) and it’s oh so thick and fudgy, can’t wait to try now with raw cashews. Five minutes all up in the Thermomix, I did note at the end the paste had heated itself to 37°, I wonder if I could speed this up further by turning the heat up in the beginning of processing. I’m also thinking you probably just want to punch me for trying to speed up the five minute blending process hey? LOL. First world problems, woe is me n stuff. Anyway, you’re a legend, we appreciate you sharing this recipe with us. I’m all for speeding up the process. In fact, if you’re gonna use roasted cashews, I strongly suggest you roast your own, that way your nuts will be warm when you start processing them. Warm nuts, or toasted nuts, will start rendering oil faster as their moisture content is lesser. 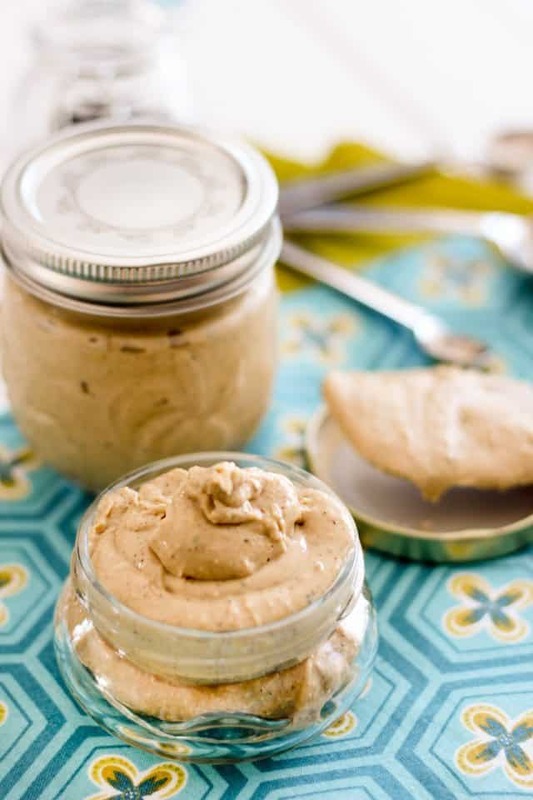 Check you my recipe for Roasted Cashew Butter, it is absolutely to die for. The addition of ghee really does take this thing to an entirely new level. Oh, and I totally agree with you. The addition of maple syrup to cashew butter is like a treat created for the gods in heaven. Insanely delicious and highly addictive! It’s so good that I don’t want to eat it for fear that I’ll be all out. Hahaha! I’m the same, sometimes. Which is a good thing, otherwise, I could probably sit down and eat the whole jar in one go! Thank you so much for this article! I have a blender, not a food processor, and the process took me 40 minutes (with breaks of course!) and I am delighted with the results. You weren’t kidding when you said you need patience and faith! I can’t wait to make some cashew, pecan, and coconut balls with this. I am trying to cut down on sugar (Starbucks cookies specifically) and these will be a delicious alternative for sure! You made this in a blender? And it worked? Do you mean a regular blender or one of those high-speed machines like a Vitamix or Blendtec? I used a regular blender, an Oster to be precise, and it worked. It took forever but it turned out beautifully. I had it on toast for breakfast this morning. All the pictures helped me to do not give up! I’m real sorry to hear, Michelle. 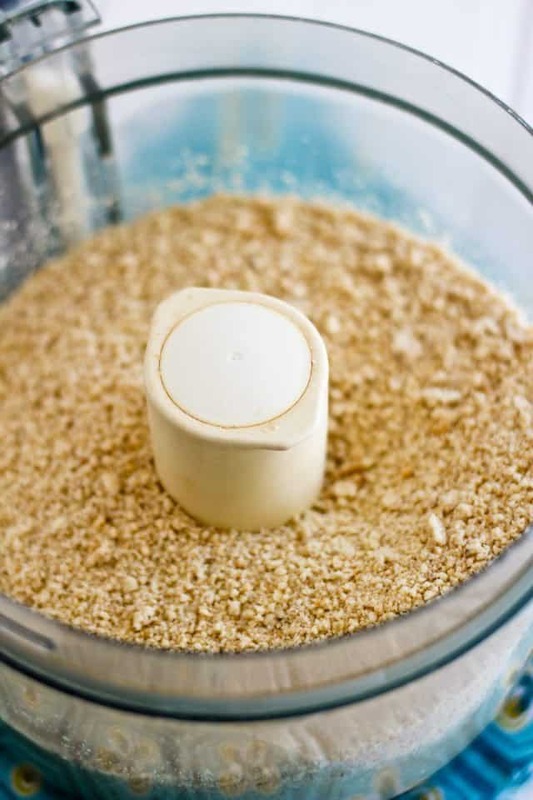 Have you tried starting the food processor again after it’s had plenty of rest? Most machines have a built-in protection and they will completely stop working for a while when the motor overheats, but will work perfectly fine after they’ve been given a good rest. If I use normal / kosher salt or leave it out and leave out the vanilla powder… Still good? If I want it as pure as possible and use only cashews… how does it taste? Anyone do that? It’ll still be good without the salt or vanilla, but it will be a little bland in comparison. The salt really brings out the flavor of the nuts and the addition of vanilla gives the nut butter such a delicate, sweet fragrance. 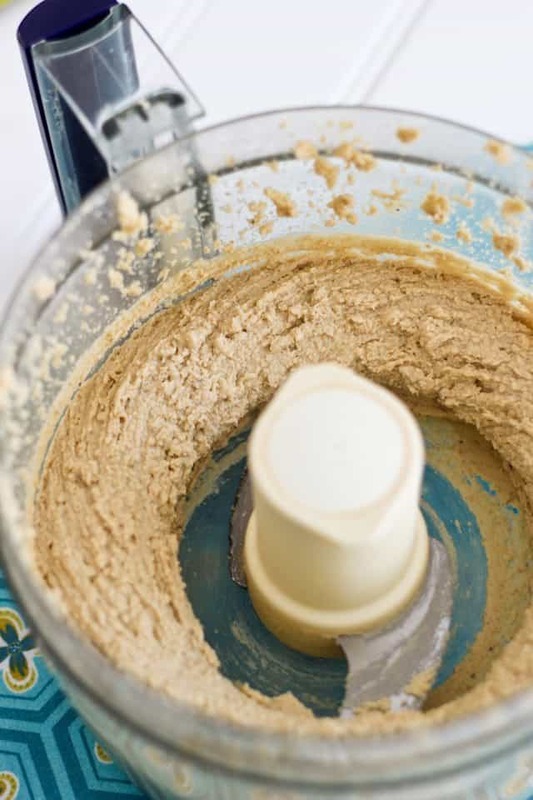 Can any of the nut butters be made in a vitamix instead of a food processor? Absolutely, Jacklyn. However, you may have to add a little bit of extra fat to get things going in the Vitamix. I like to use ghee or coconut oil, as they do not affect the final texture so much. If you use a Vitamin it will be a lot more creamier and will take about 5 minutes at the maximum. It does get insanely creamy in a Vitamix and does happen a lot quicker for you, too. However, I find that I really have to add some sort of fat to it to get things going in the Vitamix. That and well, not everyone is lucky enough to own a Vitamix! Oh, and you can post a picture of your accomplishment on my Facebook page, I’d love to see it! Great recipe. I just had to stop by and say hello. My first time on your site and I must say I am impressed with you keeping up with replies on this post a full two years later! I was surprised to see that when I got to the bottom of the comments. Anyway, this post answered a lot of questions about the struggles I had recently with almond butter. Looks like I was missing TIME. Can’t wait to try the cashew butter now – you all made it sound amazing! I love all your nut butter posts. I just finished my first Whole30 and cashew butter got me through those times when I just had to have a treat! Alone or on an apple, it is lovely. I use a Blentec with the twister jar which makes creamy roasted nut butters (in 1.5 cup batches) in less than two minutes. 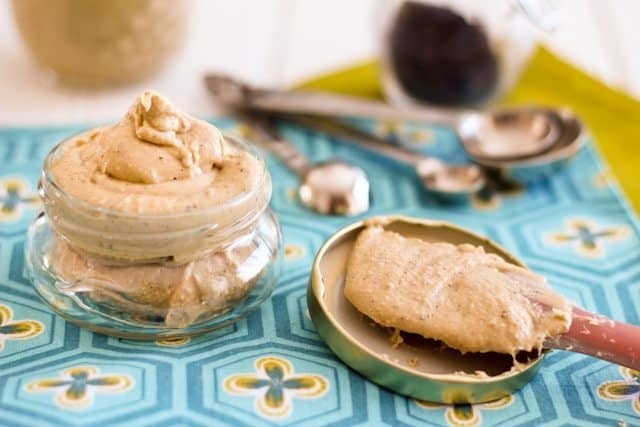 The raw cashew butter, though, takes up to 10 minutes and is worth it. Your illustrations are what kept me from giving up too early. Thanks! HA! You’re torturing me, Karen. I’m currently doing a 60 day round of Whole30 and I ruled out any and all nuts this time. I’m DYING for a spoonful of that particular nut butter. I think I’ll be whipping up a batch on the very day that this challenge ends. I realize that I have a severe addiction to nuts. Not easy being without them. That said, glad to hear this cashew butter helped you make it through your Whole30! And congrats on finishing! You totally rock! Love the vanilla powder salvage. Great upcycle. Is it necessary for the cashew butter or just a flavor enhancer, or flavor boost? Can I use extract? Sounds yum, can’ t wait to make it. 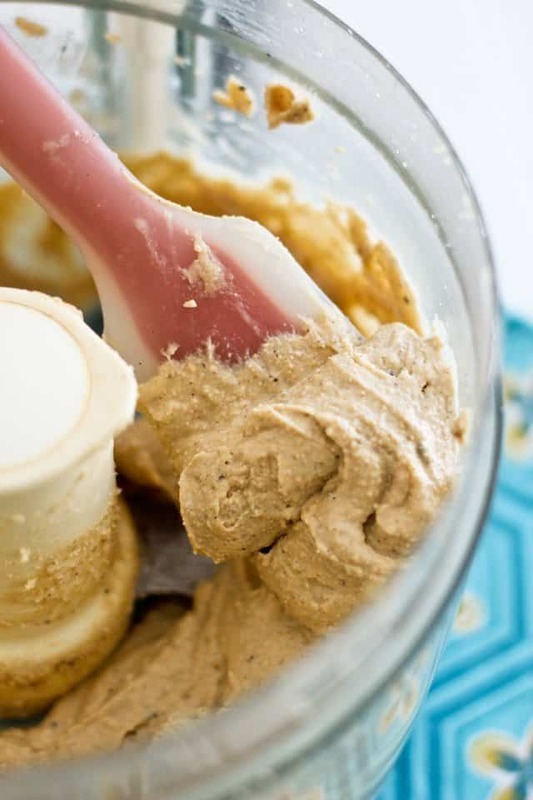 You don’t have to add the vanilla, Muriel, it just adds to the flavor of the cashew butter. I always worry about using vanilla extract as the addition of moisture will sometimes cause nut butters to seize or separate. That’s why I stick to seeds or powder. But you can leave it out if you don’t have any on hand, that will not be a problem. 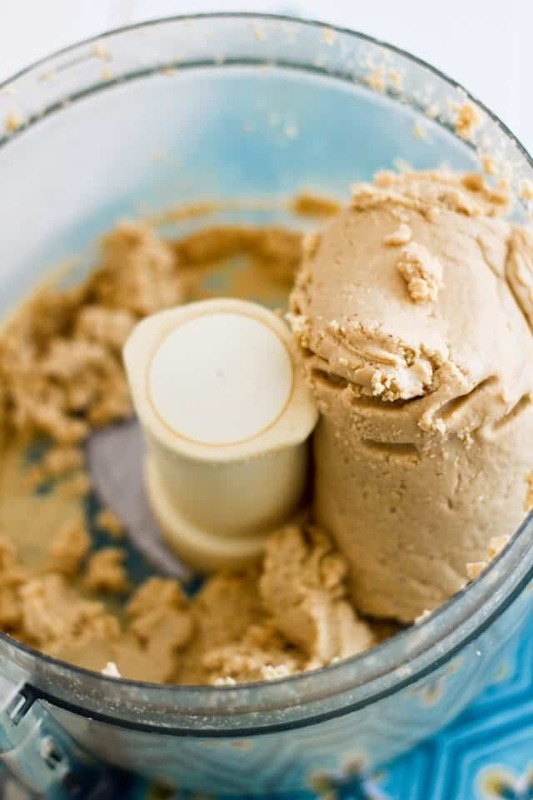 I love making raw cashew butter in the Vitamix – I usually add a little coconut oil and then refrigerate it. It is so soft and creamy when I make it but then after it’s in the fridge, it’s very hard and crumbly unless I leave it to warm up for a while. The question I have is do I need to refrigerate it or can I just keep it in a jar at room temperature and if so, how long do you think it will keep at room temperature? Thanks! I never refrigerate mine, Andrea. It will keep for a couple of months in the cupboard, no problem. Awesome! Thanks so much Sonia! I ended up with the best homemade cashew butter ever, and much less expensive than store bought cashew butter. I made mine in a ninja blender and it worked wonderfully. Haha! It does take forever, but the resulting butter is well worth the effort, isn’t it? Glad you like it, Rhonda, and thanks a bunch for the great feedback, it’s greatly appreciated! 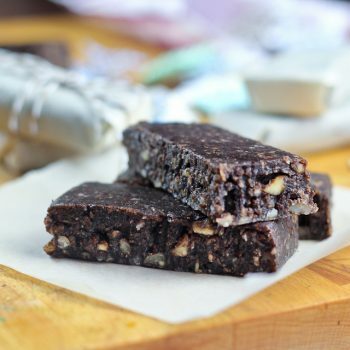 Thank you so much for such a healthy and delicious recipe, I love how its oil and sugar free, I don’t even add the salt or vanilla powder as I feel it tastes perfect as it is. Many thanks for a wonderful recipe! I did it! Followed your directions to a “T” and everything that you said would happen, did! I kept my faith in you the whole time and didn’t give up hope. I added ZERO oil and the result?? Amazing❤️ Thanks for the great post! and now I’m putting my hands on Cashew Butter for the first time! Thanks so much for having this here! I had some raw cashews to make into cashewbuter to make a grain-free loaf of bread and I’ve been hesitant to pull the trigger & make it. the step-by-step let me know what to expect. Took less than 10 minutes, even with a couple breaks to let the food processor rest. I have an old Cuisinart that I inherited during a summer internship in college from some foreign service employees headed to a new post. It had no trouble and while it did get warm it didn’t act like there was any issue getting the job done. I used about 3/4 of a pound of nuts. I so appreciated knowing the different steps involved to watch out for! Definitely didn’t need to add any oil of any kind, the cashews had enough! Love the pictures. Thank you for sharing. can I use them in a personal cookbook I’m making in Spanish (no money related, no edited image, and I’m the one who’ll just use it). What kind of cookbook are you talking about, exactly? Just one copy, for your own personal use, is that it? Thank you, I appreciate this. I am moving from vegetarian to vegan and appreciate all the ideas I can get. I just wanted to comment about the prevalence of raw cashew recipes on the Internet. Cashews are in the poison ivy family and when eaten raw, can give some people (like me) a very bad reaction — basically, an internal poison ivy rash. Horrible. And requiring steroids to cure. You can google this and read lots about it — mangoes are another culprit. But I have found that roasting the cashews makes all the difference and I have no problem eating them. So why specify RAW cashews in so many recipes? Thank you!! I had already given up on my sprouted, roasted peanut butter, and packed it away in a container when I found your post. I decided to put it back in the processor to see if it would finally get creamy, and lo and behold!! I am so glad I did! I really appreciate your detailed instructions… I failed at almond butter years ago, and thought i just wasn’t going to be able to make my own.. Anyway, I’d like to correct you: what you just used is processed/roasted cashew nuts. You can’t eat raw cashew nuts! Cashew is a Brazilian just like me and if you check its tree, you’ll see it gives you an apple and the nut, that comes in a shell. If you try to eat or break that shell without roasting it you’ll get burnt (try googling “queimadura de castanha de caju”, since it releases a toxine that burns you and if you eat it, you’d probably die; so first you roast the roast the nut, then you’ll break the shell and now you’re able to eat it. I totally hear what you are saying, Gustavo, and I already knew that, but the thing is here, when nuts are not roasted, they are referred to as raw. The same “rule” applies to cashews. So I guess it would be up to the manufacturers to change their appellation. Being gluten intolerant I treated myself years ago to a VitaMix – however I’m having trouble wrapping my brain around the narrow blender container and blades in comparison to my ancient Cuisinart food processor…I want to try this but not sure which one would work better. Don’t really want to destroy my food processor! 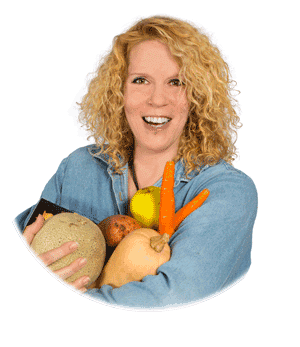 I would say definitely use the Vitamix, Pam, BUT add a few tablespoons of oil or, my personal favorite, melted ghee to the container before you even start processing the nuts. Start on low speed and use the tamper to push the nuts into the blades at the beginning of the process, or until the nuts start to release their oil and “spin” more freely. Then you can progressively increase the speed and let the nut butter mix until it becmoes really smooth and creamy. I made it with cocoa powder with the recipe itself. Love it. Awesome idea, Elsa! I need to try that! This was life saving during my 2nd WHOLE30. I love making Cashew Butter, thankfully I have a Cuisinart Food Processor that can handle the pain. I only scrape the sides twice and just let it do it’s thing, in fact I was able to make two batches in less than 15 minutes easy peasy. So addicting, one of my favorite breakfast items. And so worth the time and patience. I used a Cuisinart Food Processor (an amazing piece of equipment) and it doesn’t seem to take as long as the instructions state. Thank you!!! Thank YOU Jodie for the amazing feedback. Glad to hear the instructions helped out and that you were able to get your butter done in less time, too! This is a very nice recipe and we can use other kinds of nuts as well to have a nut butter of our liking. 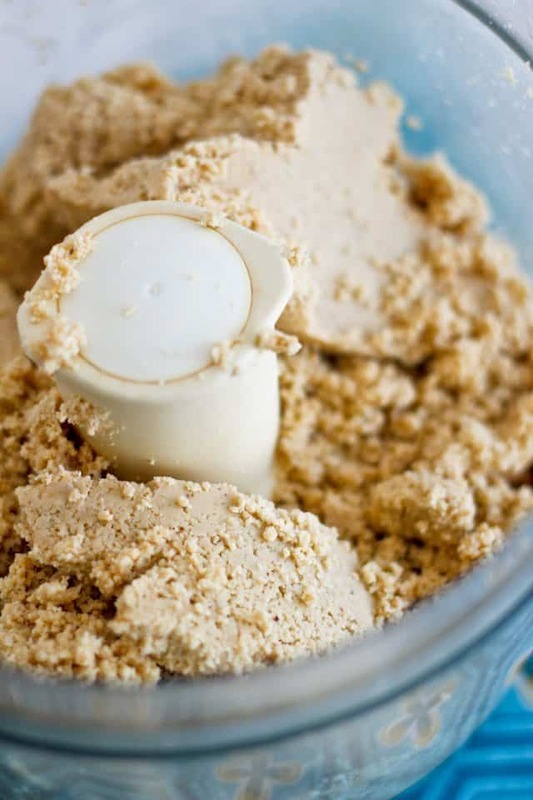 In stores we only get peanut butter here, so I use food processor to make nut butters too. I like to add a little sugar or honey at the end to enhance the taste. Yum. Your photos really look great and make me wanna lick the screen!!! About 30 minutes in (not counting the time I gave my food processor to rest/cool down), I gave up and used a thick, dry paste as cashew butter in my recipe. It worked fine for the recipe, but I am not sure why I didn’t get a creamier texture. I made it through all the “stages” you listed, just never arrived at anything spreadable. My food processor is high powered, but it started to sound a little off so I thought it better to quit before any damage was done. Thanks for sharing your experience and recipe with us. I’m trying this in my Omega juicer. Last time I did it in my Vitamix and it worked out very well. Delicious. Perfect recipe!! Thank you so much for the clear step by step instructions! Loved it.